At Tomko Dental Associates, we consider it our number one job to help our patients preserve their natural teeth for as long as possible. However, despite our best efforts, sometimes the best course of treatment may involve removing a tooth. We go above and beyond to make sure our patients are always comfortable while performing dental extractions in Allentown, and should you ever need one, you can trust that we’ll handle it with the utmost care. There are two basic kinds of tooth extractions: a simple extraction and a surgical extraction. A simple extraction refers to when a tooth is removed after it has already fully erupted. For this, your dentist in Allentown, Dr. Tomko, will start by using local anesthesia to numb the area she intends to treat, and once it has taken affect, she will gently grip the tooth with a pair of dental forceps. She will then slowly rock the tooth back and forth until it finally slips out on its own. Despite what many people might think, there is actually no “pulling” during a simple extraction, as this would be inefficient and uncomfortable for both the patient and doctor! For a surgical extraction, a tooth is removed before it has fully erupted. 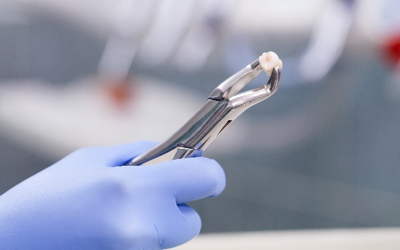 This is the most common kind of extraction performed on the wisdom teeth. It will start with Dr. Tomko applying local anesthesia to numb the area, and then she will use one of our soothing sedation options to help you basically fall asleep before the procedure actually begins. Once you are out, she will make a small incision in the gums, access the tooth within your jawbone, and remove it. She’ll then suture the surgery site, and you’ll be woken up. Due to the power of the sedative used in this procedure, it is required that a loved one drive you to and from the office the day of your appointment as well as keep an eye on you for a few hours afterward. You should feel completely normal by the next morning. You’ll likely feel very little discomfort after your extraction, though some slight tenderness around the treatment area is common. You’ll be given gauze to control the bleeding, and you should change the dressing every few hours. Be sure to avoid laying down or using a straw for the first few days after your extraction to allow your blood to clot properly. In the case of a surgical extraction, Dr. Tomko will prescribe you medicine to manage any pain you might feel. Once you have healed, we can discuss replacing the tooth using one of our many restorative options. Fortunately, we have a number of treatments that are very effective at saving even the most damaged teeth so they don’t have to be extracted, but should you ever need a tooth removed, you can trust that we’ll make it as easy and stress-free as possible. If you have any other questions about how tooth extractions work, or if you have a tooth that is currently giving you trouble, please contact us today.